This episode of the Quimby's Bookstore Podcast features a discussion with authors Adam Levin and Tim Kinsella. Adam Levin is the author of Hot Pink (McSweeney's), a collection of short stories. His book The Instructions (also published by McSweeneey's) is a hefty book about a ten-year-old super-kid who might be the Messiah. Adam teaches writing. 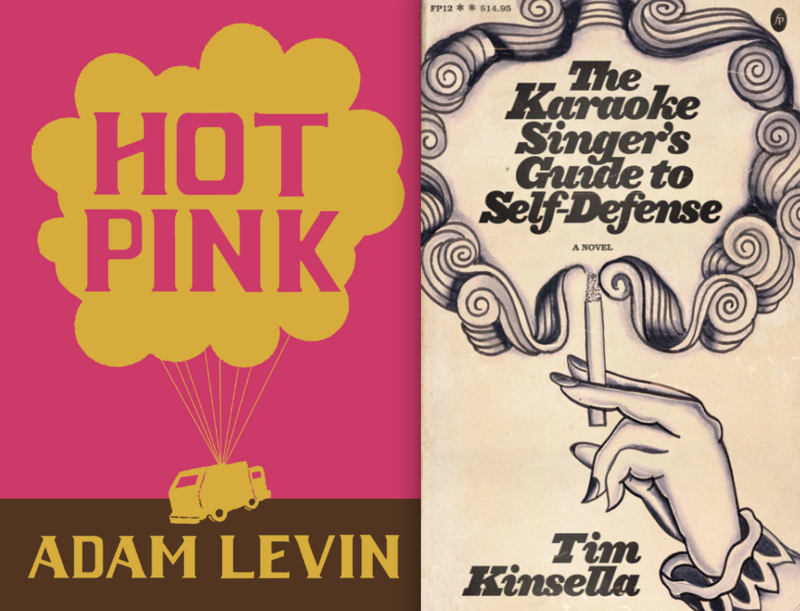 Tim Kinsella is the author of The Karaoke Singer's Guide to Self-Defense (Featherproof Press). He too, teaches, as well as bartends, and you may already be familiar with his music, Tim having been in such bands as Cap'n Jazz and Joan of Arc. Adam was celebrating the release of and reading from Hot Pink. He selected Tim as a companion reader for the event. This interview was conducted in the basement of Quimby's. The basement of Quimby's, in spite of what you may think, is mostly storage. Mostly. Well, and also we have some monsters down there too.